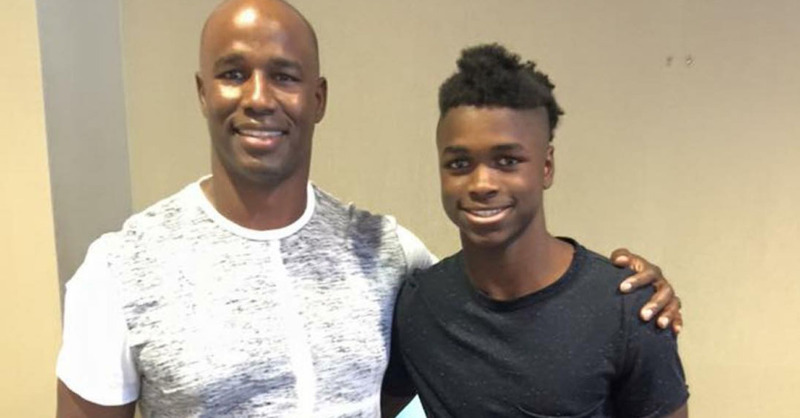 SHOCK CRIME: 16-Year-Old Boy KILLS His NFL Dad . . . And Murders His MOM . . . Allegedly Because They Wouldn’t ‘BUY HIM NEW JORDANS’!!! July 30, 2016: A horrific crime is being reported out of Texas. Antonio Armstrong, a former Texas A&M football player and NFL linebacker, was gunned down along with his wife Dawn. The couple was found shot in the bedroom of their home in Bellaire, Texas, an exclusive suburb of Houston. ABC News reports that the Armstrongs ran First Class Training, a gym in their community. The station also cites that Antonio was a pastor and motivational speaker, as well as an advocate for health and fitness. While police are NOT RELEASING the motive, multiple people on Facebook are claiming that the boy was UPSET that his father refused to buy him an expensive pair of Nike Jordan sneakers.